We send out most of our plants bare rooted to keep delivery costs down. You will need to plant them up when they reach you. 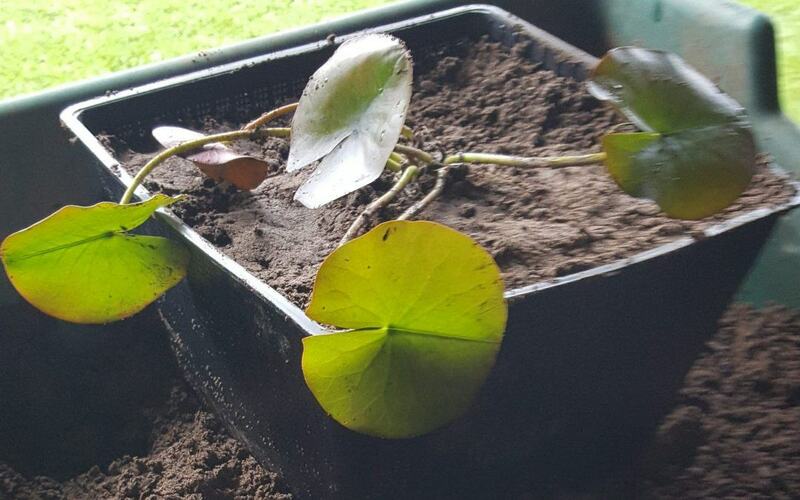 Even if you buy pre planted water lilies in pots, except for pygmy varieties like pygmaea Helvola, you will certainly need to re-pot them immediately as the 1lt pots they come in are too small to enable them to flower for you.. If a job is worth doing, it’s worth doing well. Follow our guide and make sure you give your water lilies the best chance of giving you a wonderful summer display. Step 1 – For ease of maintenance, we recommend planting into mesh planting baskets. Most lilies should be planted into a 10ltr basket. 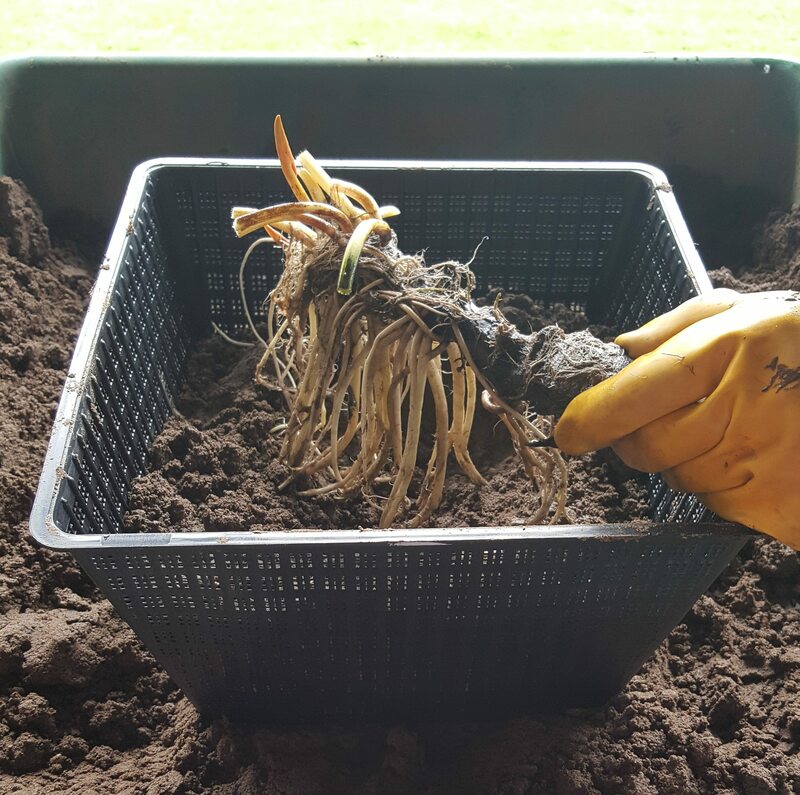 Step 2 – Plant into the heavy soil-based loam, free from chemicals and with no added peat or other vegetable matter. Neither light, sandy soil, chalk nor raw clay is suitable. NEVER add peat or compost to the soil. Step 4 – Fill the basket ¾ full of soil, pressed well down to make it really firm. Step 5 – Hold the rhizome above the surface of the soil with any shoots uppermost and roots below. Step 6 – Fill around the rhizome with soil, press really firmly. Ensure that the rhizome is exposed at the growing point of the shoots. 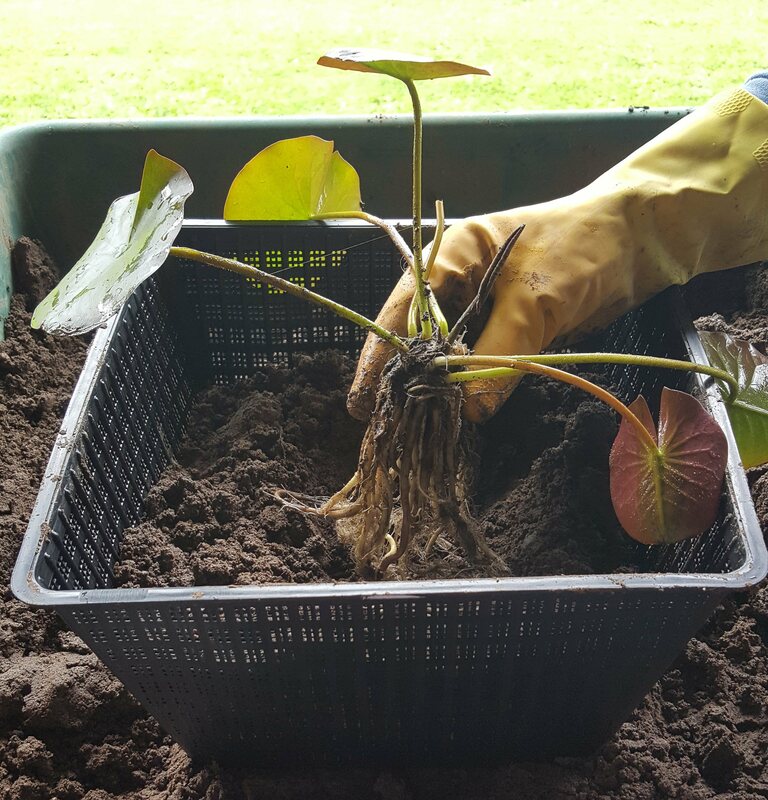 Step 7 – For all oderata lilies, position the rhizome horizontally and fill in with soil leaving the top of the rhizome just proud of the surface. With large oderata rhizomes, place a brick or large stone on top of the rhizome to stop it from floating up to the surface of the water. Step 8 -Top dress with 1-2cms washed pea gravel. And you’re done! Your perfectly planted water lilies should give you years of enjoyment as they flower in your garden pond.